There is a lot of buzz in the media regarding the launch of Mehdi Lawn eid collection 2012. Some of the prints have been revealed. The Mehdi Lawn eid collection 2012 is really regal with the embroidered motifs and chiffon dupattas. Fabric for 3 piece suits is included in Mehdi lawn eid collection 2012. Besides this, many of the suits also contain many extra items like embroidered necks, embroidered motifs and embroidered borders. This will make the lawn suits appropriate for wearing on eid day. Moreover, the lawn dresses are unstitched and so, you can get stylish and trendy outfits made out of them according to your preferences. Mehdi is a label owned by Mohammad Mehdi. Mohammad Mehdi graduated from PSFD and started his career in the field of fashion designing in 2002. He launched a small collection in that year but its success led to the establishment of Mehdi, the label, in 2004. Today, the label is popular throughout the world. Many people from Pakistan and other countries admire the work of Mohammad Mehdi and have become his loyal clients. He has showcased his designs through various fashion shows in several countries across the world. His work has also been featured in different local and international fashion magazines. With Mehdi Lawn eid collection 2012, Mehdi has entered the huge lawn market of Pakistan. The collection by Mehdi Lawn will available in stores some time next week. 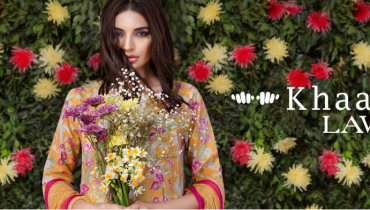 The prints from Mehdi Lawn eid collection 2012 will be made available at many major fabric stores across Pakistan. The price range announced for the prints is Rs 4350 to Rs 4550. 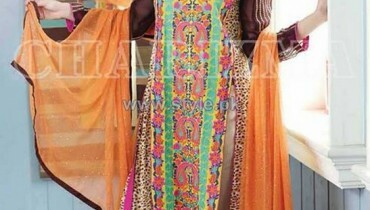 For now, let us see the dazzling prints from Mehdi Lawn eid collection 2012, that have been unveiled. If you like any of them and want to buy it, then go to any of the outlets mentioned on the Facebook fan page.